The TTP is a great way to incorporate precision into an array of otherwise routine sets. For instance, try using the TTP in conjunction with a Foil Monofin to tune into a controlled underwater kick. The Youth Fantasy Camp will feature coaches David Marsh and Todd Schmitz, current National Team athlete Anthony Ervin, and swimming icon Mel Stewart. The Adult Fantasy Camp will feature coach Bruce Gemmel, current National Team athlete Nathan Adrian, and swimming icons Rowdy Gaines and Debbie Meyer. As most swimmers and coaches know, improving stroke efficiency often requires precise technique correction that calls for private instruction, underwater filming, but most of all, TIME. Sean Hutchison, former U.S. Olympic coach and the inventor of IKKOS, explains his patented, brain-based movement learning system. For over three years now, swimmers have struggled to reach the times set during the era of the Supersuit. Now Blucore is doing something about it, with the release of the Corsuit. Seven butterfly sets from Bob Bowman to David Marsh to elites and fitness swimmers. Swimming video of long distance butterfly swims, 500 yards to 10k. Becoming comfortable with fatigue is a crucial part of the racing experience, particularly to swimmers who regularly compete in the 200’s of stroke. 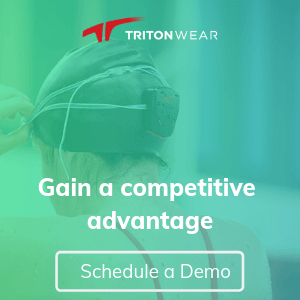 The added drag experienced while swimming with a Swim Parachute simulates this feeling to perfection, allowing you to provide real-time feedback in a training setting. Q swimwear, a custom swimsuit company based out of San Diego, Ca is looking for well qualified sales representatives to help grow our brand. Our next installment of the training spotlight series stays in New Jersey where we’re looking at another rising young backstroker and his training group. Lorna Tonks, Australian women’s 100m Breaststroke champion is the first Australian pool swimmer to be officially sponsored by leading race suit brand Blueseventy International. Ryan Lochte reveal the true issue troubling his knee while in NYC. We all want our chance, our shot. We know, deep-down inside, we are better than how fast we are swimming.